Home Economy European and Asian stocks rose sharply on Friday on hopes of a trade deal between the United States and China. European and Asian stocks rose sharply on Friday on hopes of a trade deal between the United States and China. Hong Kong’s Hang Seng jumped 4.2%, China’s Shanghai Composite rose 2.7%, Japan’s Nikkei gained 2.56% and South Korea’s Kopsi rose 3.5%. The FTSE 100 was up 0.78%, the CAC 40 in Paris rose 1.26% and the Dax in Frankfurt climbed 1.44%. 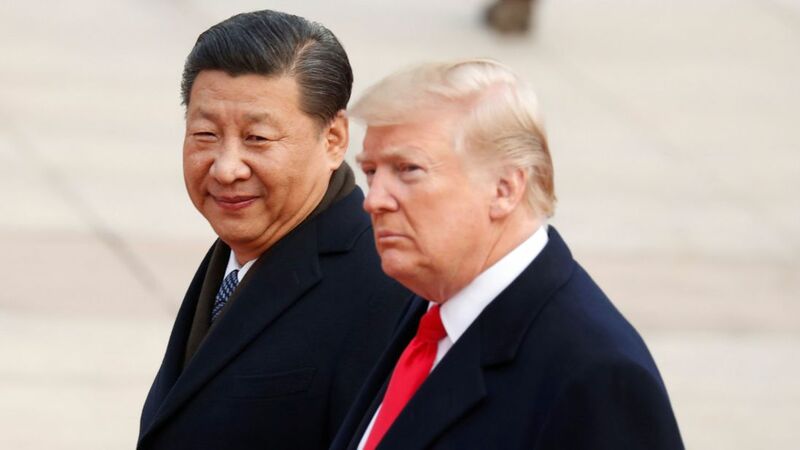 Markets moved higher after Bloomberg reported US President Donald Trump wants to reach an agreement with Chinese President Xi Jinping at the Group of 20 nations summit in Argentina later this month. Mr Trump has asked key US officials to begin drafting potential terms, according to the report. On Thursday, Mr Trump spoke with his Chinese counterpart and raised the prospect of a deal to end a trade war. “Just had a long and very good conversation with President Xi Jinping of China. We talked about many subjects, with a heavy emphasis on Trade,” Mr Trump tweeted. Just had a long and very good conversation with President Xi Jinping of China. We talked about many subjects, with a heavy emphasis on Trade. Those discussions are moving along nicely with meetings being scheduled at the G-20 in Argentina. Also had good discussion on North Korea! In comments to state media, Mr Xi expressed his hopes for a trade deal and said he was willing to meet with Mr Trump in Argentina. “The two countries’ trade teams should strengthen contact and conduct consultations on issues of concern to both sides, and promote a plan that both can accept to reach a consensus on the China-US trade issue,” Xi said on CCTV state television. Tai Hui, chief market strategist (Asia Pacific) at JP Morgan Asset Management, told Reuters: “While we are still cautious over a full resolution of recent tensions in the medium term, resumption of dialogue between Washington and Beijing would be good enough to investors for now. “Hence the next four weeks between the US midterm elections and the G20 meeting in Argentina on 30 November will be important to see how things progress.